Kindle Direct Publishing offers e-book-only publishing, a format popular with authors such as genre novelists (for Amazon.com's paperback publishing services, see CreateSpace). While of course you should thoroughly review all the features and contractual points before signing up for any self-publishing service, here are some of Kindle Direct Publishing's highlights. KDP's Editorial & Design Services - Kindle Direct Publishing doesn't offer editorial services per se (though those services are available for a fee from KDP's Amazon sister company CreateSpace). In order to format the file for your e-book, KDP does offer a compact booklet (both in Kindle and PDF form) that provides detailed technical specifications for publishing your e-book successfully on the KDP platform. KDP Book Package - Kindle Direct Publishing offers e-book only format and, as stated above, gives parameters and instructions for the technical specifications for formatting the file. In addition to the instructions for the file format, Amazon.com strongly suggests that the book have a compelling cover image, though for those books that don't have an image, the service will fill in with a simple placeholder. Book Cost/Pricing - There are no upfront charges to self-publish on KDP. The author chooses his or her own list price; Amazon.com offers options for 35 percent author royalties and 70 percent author royalties. Each option comes with its own set of parameters. KDP allows the author to switch royalty options, if desired, but it's advisable to review the options carefully before choosing the first time. Amazon.com's Kindle Direct Publishing Book Distribution - The Kindle Store provides KDP-published authors with a distribution channel. Amazon Kindle owners can purchase KDP content on the Kindle Store site and download it for reading on the Amazon Kindle wireless e-reading device. Readers who do not own an Amazon Kindle are also able to read KDP content on their PCs or Macs by using Kindle for PC/Mac software; or read KDP content on their mobile phones or PDAs with the Kindle app. Kindle Direct Publishing Book Publicity and Marketing - When an author publishes through KDP, it is included in Amazon's merchandising algorithms. While it's not explicit how a quickly a new book will be entered into the clickstream (presumably it has to do with topic, sales movement, etc), online merchandising may include the book jacket and description appearing when a customer is viewing another book's page, under such cross-promotional areas as "More Items to Consider," "Customers with Similar Searches Purchased," and "Customers Who Bought This Item Also Bought." Promotional programs also may include customer sampling. 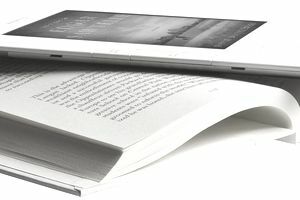 Kindle Direct Publishing's Proprietary Advantages - In addition to the obvious distribution potential of Amazon.com's retail site, those who publish with Kindle Direct Publishing, are offered the opportunity for additional advantages, such as added royalties, through a feature called KDP Select. By enrolling in Amazon.com's KDP Select, authors make their book accessible to the Kindle Owners' Lending Library (a readers' service whereby Kindle/Amazon Advantage users borrow books for free). Each month, Amazon sets aside a pool of funds and KDP Select authors share in them, according to the number of times their books are borrowed. An author's share of the Kindle Owners' Lending Library Fund is calculated based on a share of the total number of qualified borrows of all participating KDP titles. For example, if the monthly fund amount is $500,000, the total qualified borrows of all participating KDP titles is 100,000. If a book was borrowed 1,500 times during that period, the book's author will earn 1.5 percent (1,500/100,000 = 1.5%), or $7,500 for that month. Those who have already published to KDP can also enroll with KDP Select. Visit the Kindle Direct Publishing website. If you've self-published your own book, feel free to submit a review of Kindle Direct Publishing or any other self-publishing service.